The journalist-turned politician is currently in New York to attend the annual General Assembly Session of the United Nations. 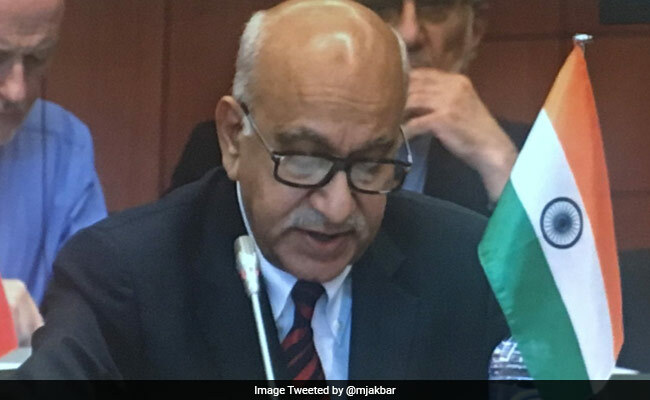 New York: Minister of State for External Affairs MJ Akbar has said that terrorism is the greatest challenge faced by the world as of now and it needs to be fought unitedly without a "compromise". He made the remarks while addressing a conference here yesterday. "The recognition that the initiative once again by our Prime Minister (Narendra Modi) that if prosperity is not possible without peace, which indeed it is not, then who is the most powerful contemporary, where is the most powerful contemporary challenge to peace is coming from," he questioned during his address. "It is coming from terrorism and therefore you have to fight terrorism without ifs, without buts and this may be useful for our European friends to carry back home, there are no ifs and no buts in the conflict with this (terrorism)," he said. 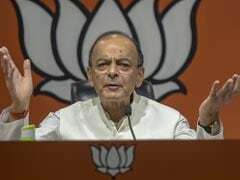 "You have suffered from isms before, terrorism is the most dangerous ism of the 21st century and therefore the BRICS resolution," he said while referring to the resolution passed by the leaders of the five-nation bloc (Brazil, Russia, India, China, South Africa) in which they came down heavily on terrorism and for the first time named Lashkar-e-Taiba in their joint statement early this month at their summit in China. The BRICS foreign ministers meeting, which among others was attended by the External Affairs Minister Sushma Swaraj earlier this week in New York also reiterated its support in the fight against terrorism. "And exactly around the same time even America which has invested so much American blood and treasure into the conflicts of Afghanistan has sent a very clear message that there is no compromise possible on terror and nations who are the equivalents of have no place. He asserted that a clear message is being sent by the US in fighting terrorism and "this message...will resonate through this century. It will not change friendships, it will not change strategic relations but hopefully it will change behaviour patterns".